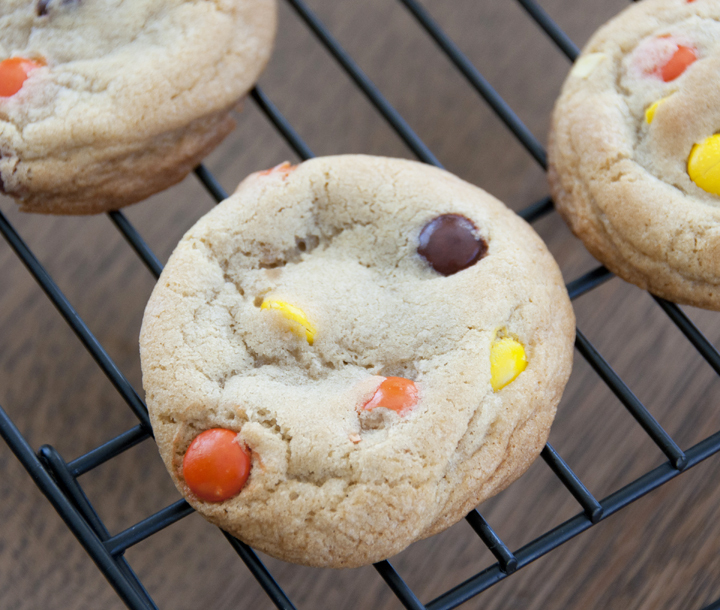 Quick & easy soft-baked chewy Reese’s Pieces cookies made with melted butter and an extra egg yolk! 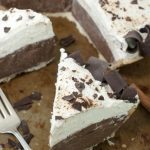 No mixer required for this easy dessert recipe! Happy Friday to all of you! How was your week? Mine was so busy that I had to actually check what day it was as I posted this. I’m in Boston right now with Mr. Wishes for a work conference (his job). I work from home so I am able to tag along on all of his trips! I had been to Boston once before (many, many years ago) but this is his first time here so we have spent some time exploring. Being the big baseball fans that we are, we also will be taking in a game at Fenway park this weekend – so excited! 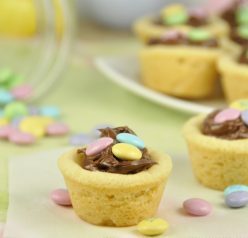 The preparation is SO simple for these soft-baked Reese’s Pieces cookies. I love love love Reese’s Pieces and find any excuse to bake with them or dump them over a bowl of ice cream. So, if you feel the same love for the Pieces that I do, you’ll love these cookies 🙂 There is no mixer required to make them (which I love because that means easier clean up and less hassle! )– all that you need is two bowls , stirring the ingredients together, and popping them in the oven! Whatever you do, don’t skip the step of chilling the dough before you bake them – plan ahead so these babies come out perfectly! 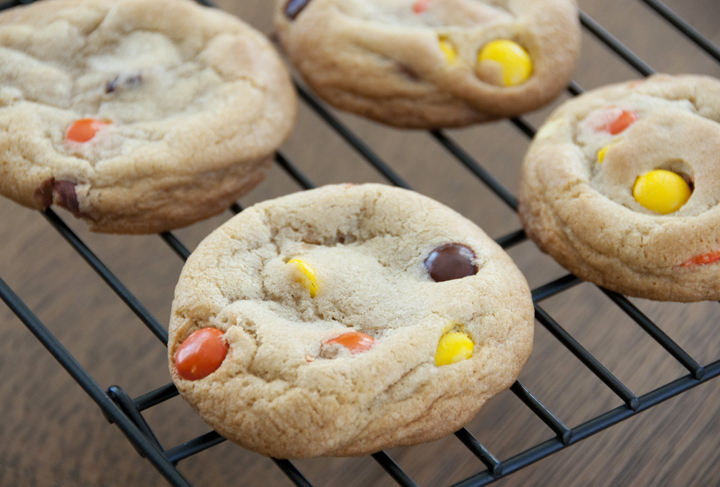 Quick & easy soft-baked chewy Reese's Pieces cookies made with melted butter and an extra egg yolk! No mixer required for this easy dessert recipe. Whisk together the flour, baking soda, cornstarch and salt in a large bowl. Set aside. In a separate bowl, whisk the melted butter, brown sugar, and granulated sugar together until no brown sugar lumps remain. Whisk in the egg, then the egg yolk. Finally, whisk in the vanilla. Pour the wet ingredients into the dry ingredients and mix together with a large spoon or rubber spatula.The dough will be very soft, yet thick. Fold in the Reese's Pieces. Do your best to have them evenly dispersed among the dough, pressing them in to dough to get them to stick, if needed. Cover the dough and chill for TWO HOURS, or up to 3 days. Do not skip this step! Roll the dough into balls, about 3 Tablespoons of dough each. Roll the cookie dough balls to be taller rather than wide (but with a nice solid base so they don't topple over in the oven). This ensures the cookies will bake up to be nice and thick. Put 8 balls of dough onto each cookie sheet. Press a few more Reese's on top of the dough balls for looks, if desired. Bake the cookies for 12-15 minutes. The cookies will look soft and underbaked, but if they look TOO goey give them another minute or 2. They will continue to bake on the warm cookie sheet after you take them out of the oven. Cookies stay soft and fresh for 4-5 days at room temperature. Cookies may be frozen up to 3 months. Rolled cookie dough may be frozen up to three months and baked in their frozen state for 12 minutes. My toddler would LOVE these cookies! She’s a peanut butter fan like my husband (sadly, I am not). These cookies look perfect! Have fun in Boston!! It’s so exciting to be in Boston! What a wonderful city, and sweet gig to be able to work at home and tag long with your husband on his work conferences (: These cookies look so delicious; I love my peanut butter in cookies! I love Reese’s Pieces so much. Like so much and cookies with them are the best! Love that these are easy too! oooh these cookies look so perfect! So perfectly chewy and soft! and it’s always a good thing to throw some pb love in there via reese’s pieces! Ashley, how fun… being in Boston! I really, really want to go there some day! I’m so much in love with lighthouses… and there’s a few over there I’d travel clear from Utah to see! These cookies look so delicious right now… wish I could snag one from the screen! Wow these cookies look incredible. I love how soft and chewy they look. Hope you’re having a fun trip! These look great! I’m enjoying following your Boston trip on IG–makes me want to visit the city again! Oh wow, I’d so love to be eating a couple of these babies right now. They look gorgeous! Crying because I can’t reach through the screen and grab one. Delicious cookies! 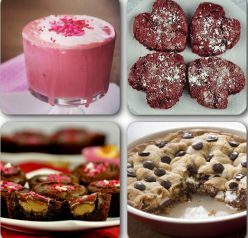 I love no mixer recipes. Hope you enjoyed Boston 🙂 Have a great weekend! Ooooo love me some Reese’s Pieces and a soft cookie! Pinned! Thank you Julie and thank you for the pin!